I first got the idea for this costume when the Lichenstein museum show came to Chicago. I have always loved his pieces and have created a couple of my own. 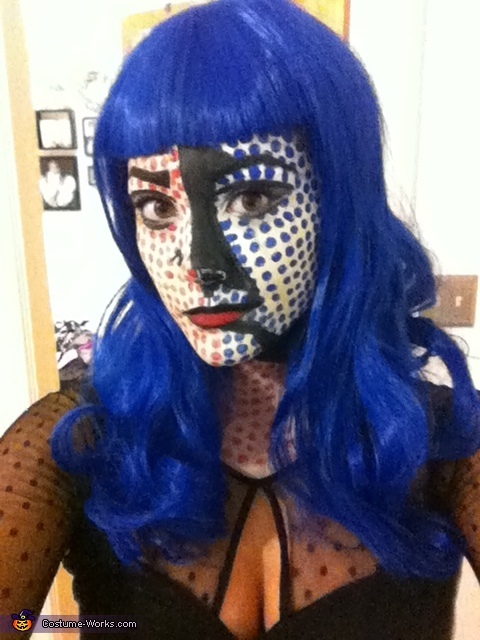 So I decided to be creative, think outside the normal halloween box and make myself into a painting.